What is more important now is to build a workforce by starting right at the beginning; grooming students to attune to the fast-changing world for creating a job ready gen next. As much as we hate to admit it, the Gen Z is very different! 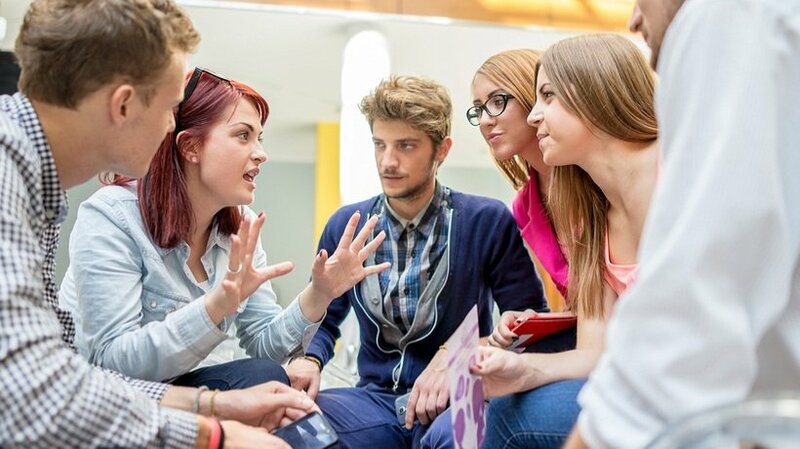 The how and why of Gen Z thinking was discussed in our article Training Gen Z: 5 Myths Busted. But often the answers lie at the roots. What is more important now is groom students to attune to this fast-changing world and create a job ready gen next. In America, 71 % of the population age 3 and overuse the internet. This is in stark contrast to a United Nations report that revealed that 57 % of the world’s people are unable to take advantage of the internet. As a matter of fact, schools in developing nations have been slow to adopt technology. For various reasons; it’s too costly, really not needed, a great distraction, illiteracy, etc., etc., etc. But do you realize that in most schools in developed countries blackboards are nearly obsolete, fat hard-bound text books have been replaced by online text, digital resources are used for "homework", and discussions happen on online collaboration platforms? More private schools, than public ones, are warming up to technology in education in developing countries. But where do they begin and how far should they reach? Here are 5 must-adopt strategies for merging technology and education, which developing countries can use to beat the race and create a job ready gen next. Learning should enable all the students to achieve their full potential, irrespective of their backgrounds. Inclusive learning and teaching recognizes that every student is entitled to a learning experience that respects diversity, enables participation, and accounts for a variety of learning needs and preferences. Learner needs vary widely; some are musical learners, some learn through applications, while others are more visually orientated. Integrated curriculum -which allows different students to learn the same concept in their preferred way- is of utmost importance. It is imperative that institutions promote the mental well-being of their students and allow the staff to approach teaching on the principles of equity, accountability, and flexibility. Bridging the skills gap through industry tie-ups is crucial for a holistic development of the students. According to CISCO, of the 3 million graduates and post-graduates only 25 % are considered employable. The shortage of skilled labor is emerging as a significant and complex challenge to the future of developing countries. Bring in the industry experts for a larger picture through virtual classrooms. Imagine students interacting with Bear Grylls, from Man vs. Wild about the diversity in animal life. Enable students to learn more and retain more. This new method of teaching is turning heads. The flipped classroom model inverts traditional teaching methods, where students read or watch before the class session, while the class time is devoted to discussions, experiments, projects, or homework. This provides an opportunity for students to learn at their own pace and build upon the concept through discussions or collaborations with teachers and peers in the class. Class time can focus more on student understanding than lecture. This a relief not only for students, who have less homework, but also for teachers who otherwise have to be constantly assigning and grading work. Learner engagement is mandatory for the best teaching outcome. Remember what we had said? "90 % of Gen Z prefer a dynamic and fast-working environment". They can get easily bored otherwise. Many institutions are adapting game-based learning approach to keep the students hooked to their tasks. Online gamification and social learning has been found to spike encouragement and enthusiasm among students and teachers. An advanced methodology and education buzzword, AR is more than just a fad. It is the future of education. How exciting would it be for students to actually wander around Rome and the Vatican City when learning about Renaissance? Augmented reality replaces the real world while simulating live situations and experiences. It brings news dimensions to learning through creating and interacting. AR can propel participation by engaging students and reinforcing concepts studied in class. Karen Schrier used AR to bring the Battle of Lexington to her students through the Reliving the Revolution game. Players could assume different historical roles and walk through everything on a real-life map of Massachusetts City. Technology can only take us further! A school can’t start using technology randomly. But what is required is a vision to be advanced and readiness to change culturally. An institution can start with any or all of the above strategies to cater to a developing workforce which is choosy, selective, futuristic, and dynamic. Improving education, training, and skills are vital to making sure that Gen Z is ready to take on challenges.